Start the conversation about a smarter way to manage business expenses. The right Expense Management Solution can reduce costs and give you greater control, compliance and visibility across your organisational spend. 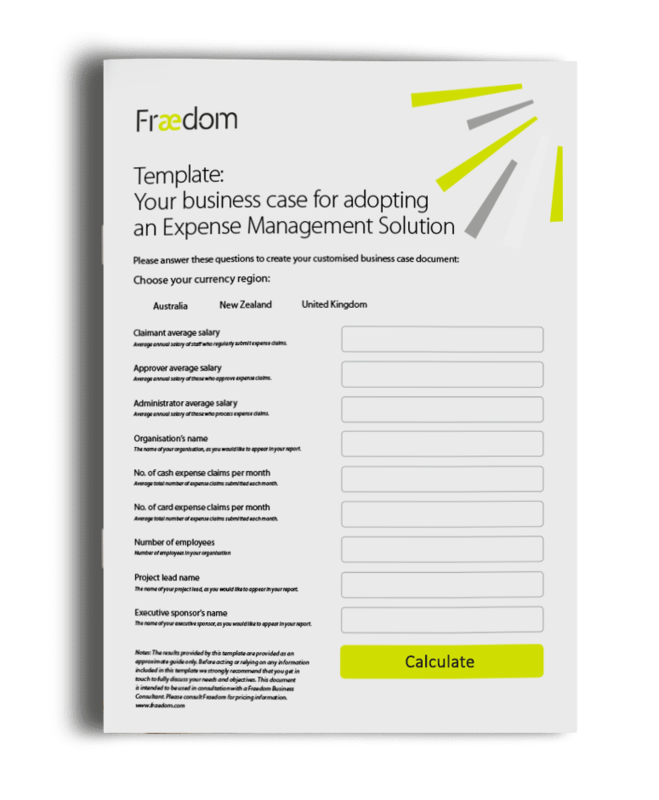 Download your free business case template, with just a few details it will pre-populate all the information you need to start the conversation on how to improve efficiencies and save money today.